Hello out there.. I felt like doing a Sunday Salon style post, but since it’s only Friday I’ll have to call it something else. Friday F F F F.. ok, no “F” word is leaping out at me.. we’ll just call it Friday Blabber. My 12 year old has been a total pill this week, fighting with me about EVERYthing. 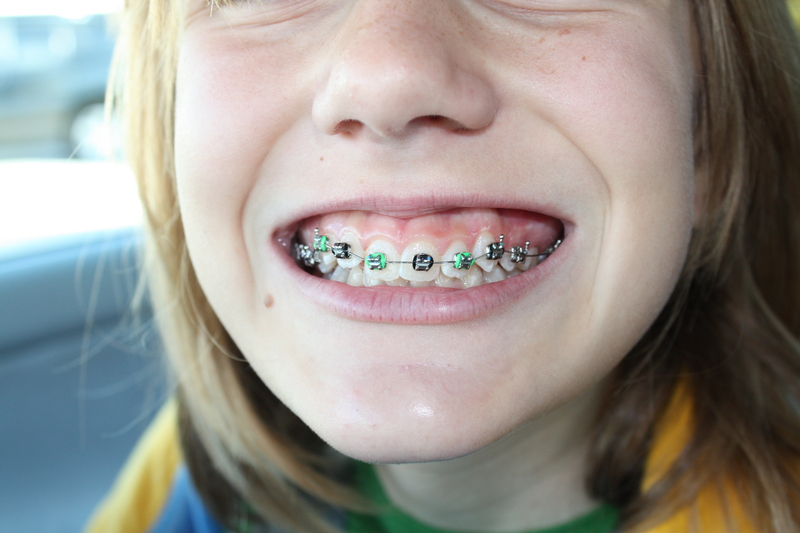 She got braces Wednesday and her mouth is sore. Apparently this has heightened her emotions to new highs. Every stray thought and feeling is magnified, everything is SO unfair. It’s exhausting for me! My youngest has been whiny and clingy, complaining relentlessly about Daddy being out of town. WHEN is he coming home? WHY does he have to be there? He’s been gone since Sunday. Last night she was so unhappy about it and mad at him that she refused to talk to him on the phone, and then sobbed about how other daddies are home every night. It’s not fair! I love the Olympics but they have seriously cut into my reading (and sleeping) time. I got so caught up watching Shawn White and the other snowboarders last night that I never looked at the book in my lap. And the skaters! Wow! I’ve been staying up so late, and falling asleep with the TV on. Why is it on so late?? I’ve been reading Imperfect Birds by Anne Lamott. Totally terrifying if you are the mother of soon-to-be teens. They have this whole secret world full of lies and deception and risk taking.. drugs, boys, drugs, sneaking out, more drugs.. and yet it all looks so pretty on the outside.. good grades, part time jobs, polite to adults, keeping up appearances. I vow, right now, to be the nosiest mom of teens ever, up in my kids’ “bizness” at all times. I will read diaries, I will search pockets, I will have internet controls, I will read their text messages and Facebook pages, I will give drug tests, I will call teachers, I will know the parents of their friends, will constantly ask questions and keep tabs on them. I will not be their BFF, I will not look the other way, I will not make excuses, I will give consequences, I will not believe their lies or buy their BS. How else can you protect them? See, I remember high school, and I remember what I was like. My mother didn’t have a clue. I will not be clueless. Aren’t you glad you’re not my kid??? On my nightstand are A Reliable Wife for my March book club meeting, and Give Me, Get Me, Buy Me (non fiction about demanding children- who better to review that??). Also I’ve got two books on their way to me- HarperCollins is sending the new Lionel Shriver called So Much For That (I still can’t get We Need to Talk About Kevin out of my mind years later!). 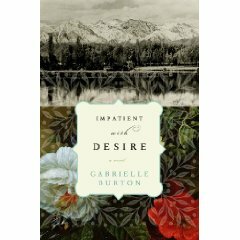 Then there’s a historical fiction novel about the Donner Party called Impatient with Desire by Gabrielle Burton (from the author). I’m really looking forward to that one. On Monday 2/22 we will be discussing Keeping the Feast with author Paula Butturini for our Winter Reading Series here at Books on the Brain. Paula will join us ‘live’ for an hour (5pm PST) to answer questions and talk about her book. Please drop by if you’ve read the book, or if you’re thinking about it! Oh, and my giveaway of American Rust will run through Sunday at midnight.. leave a comment for a chance to win. This weekend will have us delivering girl scout cookies to the neighbors on Saturday, and then my book club will meet to discuss The Weight of Silence on Sunday. 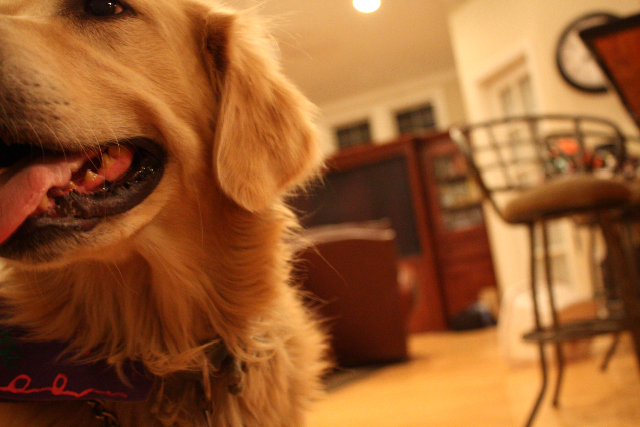 And then Daddy comes home (woo hoo! cue the angels!). Maybe I’ll leave town for a day or two so he and the kids can become reacquainted :-). American Rust by Philipp Meyer is a contemporary fiction novel set in a dying Pennsylvania steel town, where the largest employer has shut down years before, where few opportunities exist for the town’s youth or the adults who’ve spent their lives slaving away in the steel mills. 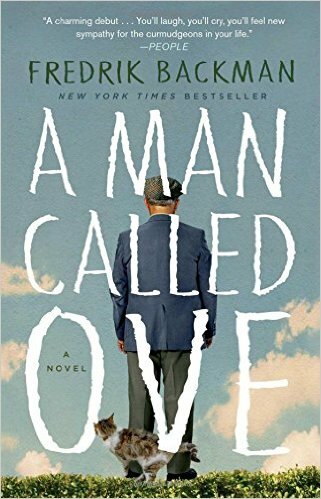 Isaac English is a smart but socially awkward young man saddled with the care of his disabled father. Bitter that his sister was able to get out after their mother’s suicide, he finally decides to leave town to make his way to California. Taking his father’s stash of emergency money and throwing some items in a backpack (journals, a jacket) he heads out, asking his one friend Billy Poe to join him in walking the tracks to the outskirts of town where the plan is he’ll jump a train. Billy Poe is a young man who has used up all his chances. A football star in high school who’s had a couple scrapes with the law, a fight gone wrong, and some missed opportunities.. . now a few years have gone by and here he is, stuck. His glory days are behind him and his future looks bleak. With self doubt holding him back he has stayed behind with his mom in their trailer rather than pursue offers of college scholarships, thinking maybe he’d go away to school in a year or two- well, he realizes now he’s made a big mistake. Nobody wants him anymore and he’s full of regret. So with no prospects and nothing to lose, Isaac and Billy set off. Before long they encounter a situation with some homeless men on their way out of town that turns violent and changes their lives forever. Other characters in the book include Billy’s sad and lonely mother, who has had an on again/off again relationship with the chief of police for years; Isaac’s brilliantly stupid sister Lee, a genius and Yale graduate who married into a wealthy family but is still dangerously attracted to Billy Poe; Isaac’s used-up father, a man who favors his daughter and doesn’t realize his deep feelings for his son until it’s almost too late; and the conflicted Chief Harris, a man who means well but whose actions belie his questionable character. Told from the perspective of all of these characters, this novel does a lot of things very well. Each voice was entirely unique and felt real and raw. Mr. Meyers has created memorable characters that leap off the page, with inner conflicts that are completely relatable. Not only do you want to know what will happen to Billy and Isaac, but you gain a deeper understanding of the complex issues facing towns like the fictional Buell, PA. This economically devastated yet beautiful town was a huge presence in the book. As I was reading, I kept wondering… even if you get out, can you ever escape your past? American Rust is an excellent debut novel, dark and emotional. It’s about loyalty, friendship, desperation, and loss. Mr. Meyers storytelling is compelling and gritty. There is no happy ending here, but if you’re ok with that, this is one I highly recommend. Random House has generously offered a copy of American Rust as a giveaway to one of my readers as part of it’s TLC Book Tour! For a chance to win, leave a comment letting me know if you still live in or near your hometown, or if you’ve left it behind. The contest is open until Sunday, February 21, at midnight. 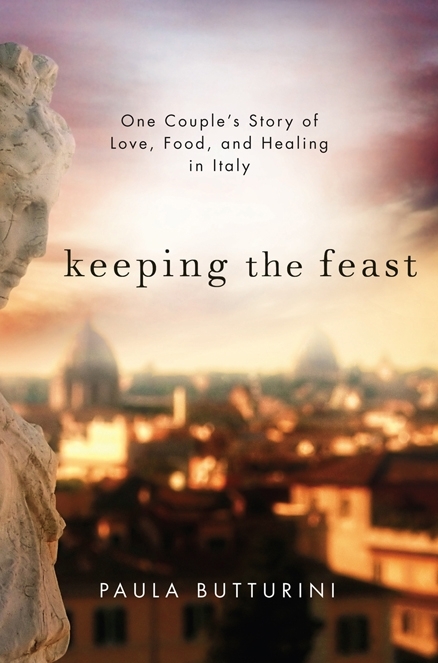 This month we’re reading Keeping the Feast by Paula Butturini, a beautiful and inspiring memoir of food, depression, marriage, and family that took us on a journey from the dinner table in her childhood home in Connecticut all the way to the open air markets in sun-drenched Italy. We are so excited to have Paula here in real time answering any questions you might have on Monday, February 22, at 5 pm PST (which is my time zone- she lives overseas but will be in Washington, DC, on the day of our discussion). If you’ve read Keeping the Feast, or are curious about it, please mark your calendars and join us as we discuss the book with Paula! Keeping the Feast is a story of love, trauma, and the personal and marital healing that can come from a beautiful place and its simple traditions. 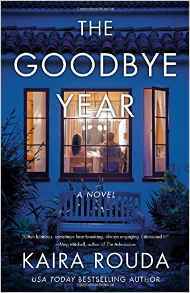 It’s a memoir about what happens when tragedy and its psychological aftershocks strike a previously happy marriage and a couple must stubbornly fight to find its bearings. Most significantly, it is a book about the power of one of the most fundamental rituals – the daily sharing of food around a family table. Food — the growing, shopping, preparing, cooking, eating, talking, sharing and memory of it — becomes the symbol of a family’s innate desire to survive, to accept and even celebrate what falls its way. SO READERS- let’s get the discussion started! These are just a few questions to get you thinking- you don’t have to answer them all. Please feel free to add your own questions, and respond to each others answers, too. 1. 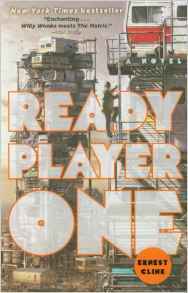 What was your overall view of the book? Did you enjoy it? Was it what you expected? 2. Were there parts of this book that were difficult to read? 3. What aspect of the book did you enjoy most? 4. John and Paula’s marriage was brand new when tragedy struck. It might have been easier to leave than stay, yet they got through it. Would you have had the strength to stay, given the circumstances? 5. What role do you think Rome and rituals played in their recovery? 6. What role does food play in your family? Do you live to eat or eat to live? 7. While reading Keeping the Feast, did you ever get frustrated with Paula? With John? 8. 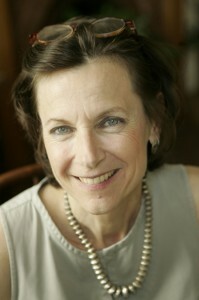 Paula had firsthand experience with depression through her relationship with her mother before it overtook her husband. Were you surprised that she handled her husband’s bouts with depression the way she did, given her history? We can’t wait to hear your thoughts on Keeping the Feast. Thanks for reading along with us. And don’t forget to join us on February 22nd for our discussion with Paula! 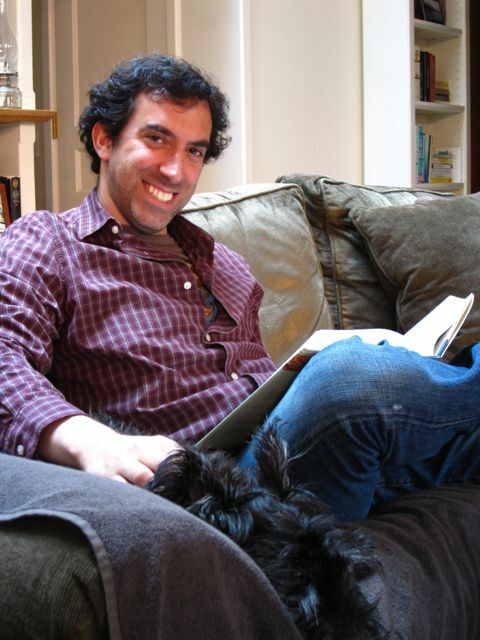 Today I welcome Peter Steinberg, creator of Flashlight Worthy Book Recommendations, a site dedicated to giving out great recommendations for book clubs. BOTB: Hi Peter! Can you tell us a little bit about yourself? Peter: I’m 39, and live with my wife and our dog Henry in Brooklyn, NY. We actually live in a neighborhood called Brooklyn Heights which has quite a literary past. W. H. Auden lived here. Hart Crane lived here. Truman Capote wrote In Cold Blood here. Norman Mailer spent the last 30 or 40 years of his life here. Carson McCullers, Arthur Miller, Walt Whitman… the list goes on and on. BOTB: What types of books do you enjoy most? Peter: Good ones? 😉 Seriously, I’m a little bit all over the place. Good novels. Memoirs and biography. American history. Books about specific times or places or objects (think “Devil in the White City” or “Salt“). If I had to pick a single genre that makes me different, it’s probably food/restaurant/cooking memoirs. I’ve read about 25 of those in the last 5 years and have a stack to dive into. BOTB: Have you ever been in a book club? If so, can you tell us about it? Peter: I spent a year+ in a “Brooklyn” book club — Not only located in Brooklyn, but we only read books set in Brooklyn. It was fun while it lasted, but like so many book clubs it seemed destined for a short life. 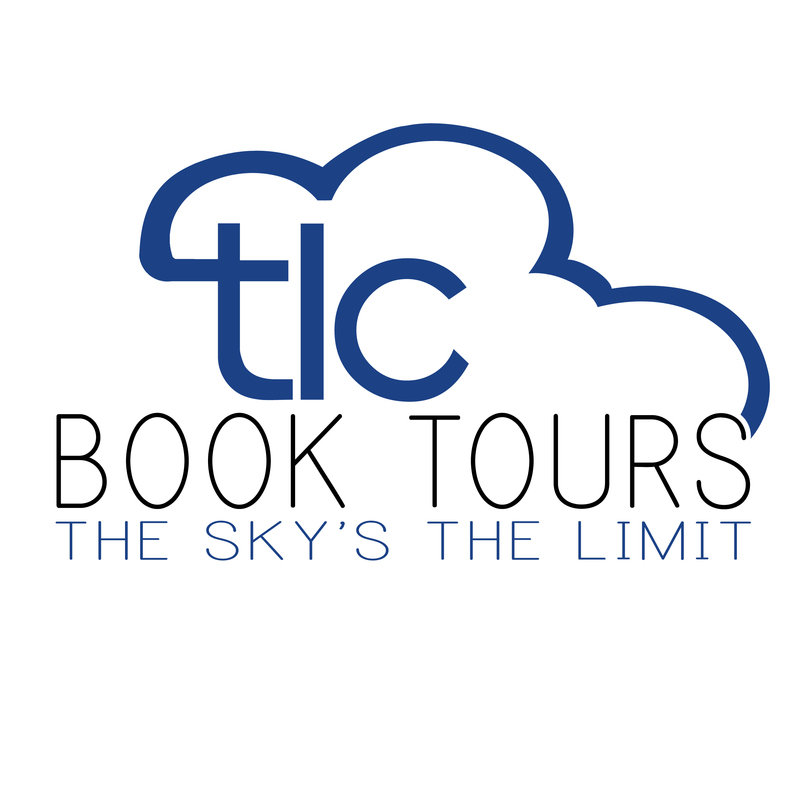 BOTB: If you came to my book club, what kind of food/beverage would you bring? Peter: I’d bring dessert. Most likely my famous butterscotch pudding. Or maybe just some vanilla ice cream… but with my homemade caramel sauce that’s been known to start wars between small nations. BOTB: Ok, you can come! What made you decide to start Flashlight Worthy? Peter: I started Flashlight Worthy because I wanted to combine my professional skills (running websites) and my personal passion (books). While there are a tremendous number of good sources for book recommendations out there, I think Flashlight Worthy’s take on things — only really great books. very short write-ups, gathering the books into themed lists — is a fun and different approach. And it’s been a great experience — people seem to love the content and the book blogging community has been incredibly supportive! BOTB: Book bloggers are awesome 🙂 Peter, I think Flashlight Worthy is a great resource for book clubs and I hope you have much success with it. I understand you have a request for book club recommendations, so I’ll post that here. Thanks so much for your time.. it was great getting to know you better! Here is Peter’s Open Call for Lists of Book Club Recommendations! It seems the book club community has recently discovered my book club recommendations. From the feedback, not only are the lists very much enjoyed, but people are clamoring for more. That’s where you come in. While I’ve read plenty of books, I’m looking to book club members to contribute new lists — annotated lists of highly discussable books. Can you name and describe 5+ flashlight worthy, discussable books that follow a theme? Maybe ‘7 Great Books that Revolve Around Food’? Or ‘6 Women’s Memoirs That Will Start an Argument’. How about ‘5 Discussable Novels Set in Africa’? Take a look at the lists I have and give it some thought If you’re interested, email me at Info AT flashlightworthy DOT com. Thanks so much and have a great new year! Good morning! I hope it’s bright and sunny where you are! In Southern California we are bracing ourselves for a MAJOR WINTER STORM! Take cover! There may be some rain! I might not be laughing about this a week from now, but when the weather forecasters cry wolf a few times, and the major storm ends up being a few sprinkles.. well, let’s say I’m a bit unimpressed with the warnings. We’ll see. Right now it’s sunny, the sky is a brilliant blue, and the only clouds I see are high and fluffy. But they are moving pretty fast, so.. hmmm. Today was supposed to be our parent/child book club meeting day, hosted by me, but my oldest has strep throat. I almost made her go to school on Friday (another one who’s always crying wolf) but she seemed a little warm and listless and had a miserable attitude so I let her stay home. Later I saw that her throat was inflamed so we went to the doctor.. he said it was viral and to go home and give her Motrin. But then last night she spiked a high fever and her throat was bright red, so we ended up in the ER for several hours, and she got a shot of penicillin. Now my husband has a sore throat. Good times! Where is everybody? Who wants to play with me? What's THIS? 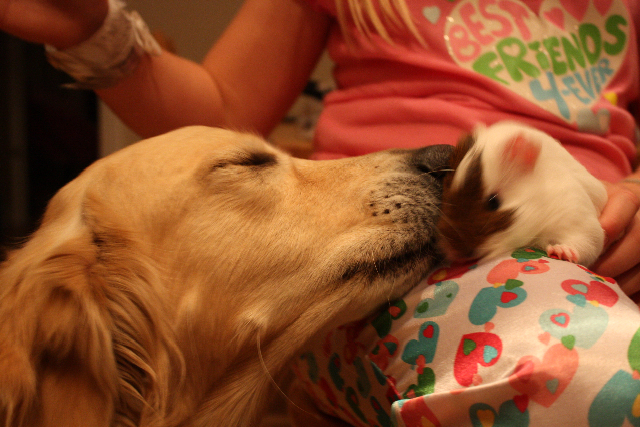 A new pet in the house? Well, she smells pretty good. 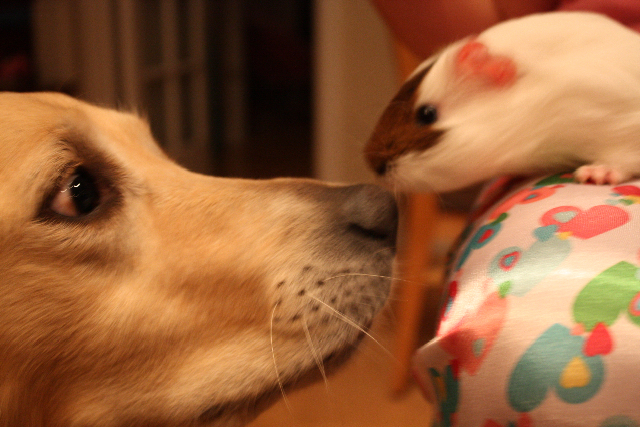 Maybe we can be friends. As for reading, I’m about 2/3rds of the way through both U is for Undertow and American Rust. I’m usually a one book at a time woman, but I’d left “U” in my car one night and didn’t feel like going out to get it, so I started American Rust and haven’t put it down since. Wish I had a team of people to raise my children, make my meals, do my laundry, clean my house, and shop for me so I could just read read read in my free time. Wait..I need another me! I need a wife!! Ha Ha. What are you reading this weekend? I hope you all have a wonderful day and a great week! Thanks for stopping by Books On The Brain. Booking Through Thursday: Flapper? Or not a flapper? I guess this is meme week. Can you tell I’m procrastinating about writing reviews?? Yes, I’m a flapper. I read the flap. Maybe not EVERY time, but if I’m browsing in a bookstore and don’t really know what I want, I read flaps to help me decide if it’s a book I want to buy. Usually when I get a book in the mail I’ve already agreed to read it, so in that case I don’t read the flaps. Except when I do. I’m sure you’re all really happy you read this post, aren’t you? Such insight! So provocative! Are you a flapper? Are you a procrastinator too? ?